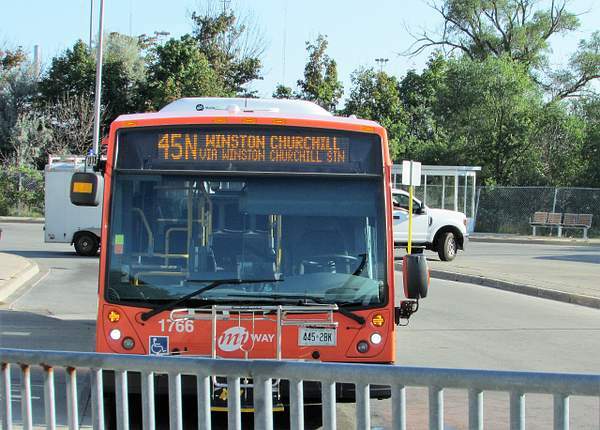 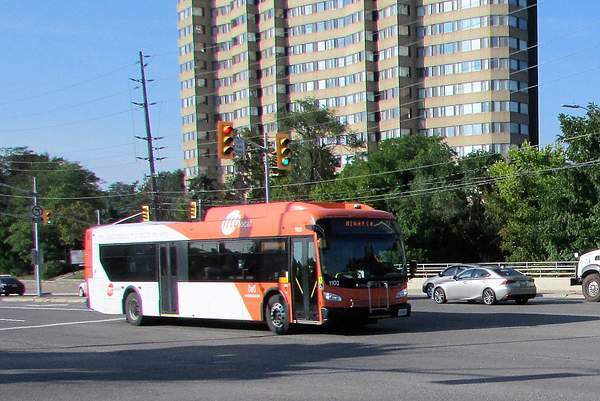 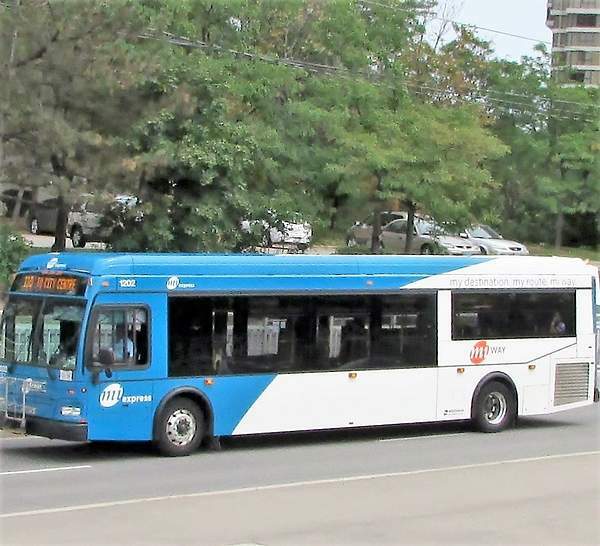 Oakville Transit 1706 is arriving while Miway 1202 and Miway 0546 are leaving on Friday afternoon September 14 2018. 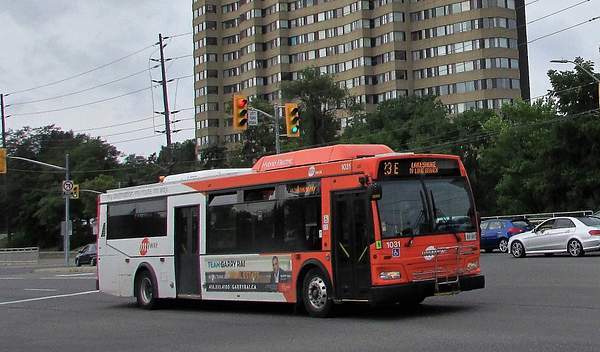 Long Branch is the western most community in the City of Toronto. 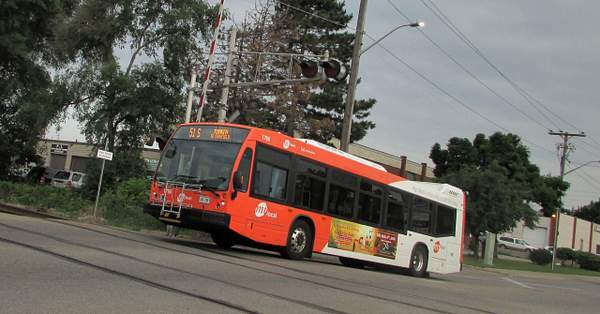 It is the west end of the 501 Queen Street streetcar line. 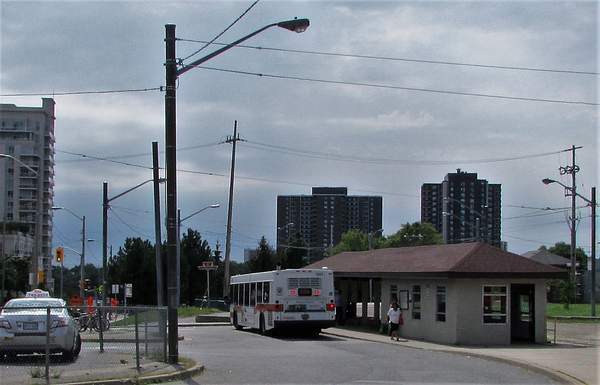 It is the eastern end of Mississauga Transit Route 23 Lakeshore and the south end of Route 5 Dixie.The shelter building dates back to the 1930's. 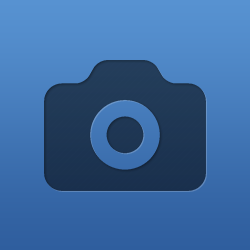 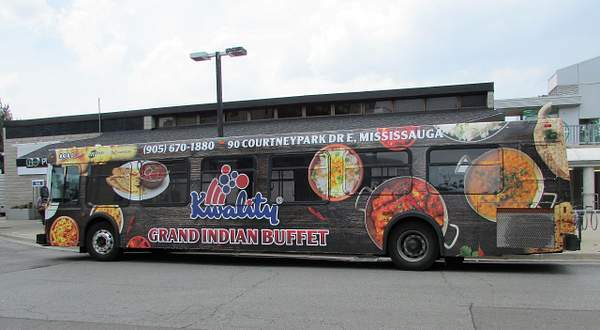 Mobile billboard. 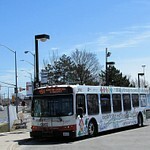 MT 0308 at Port Credit GO station. 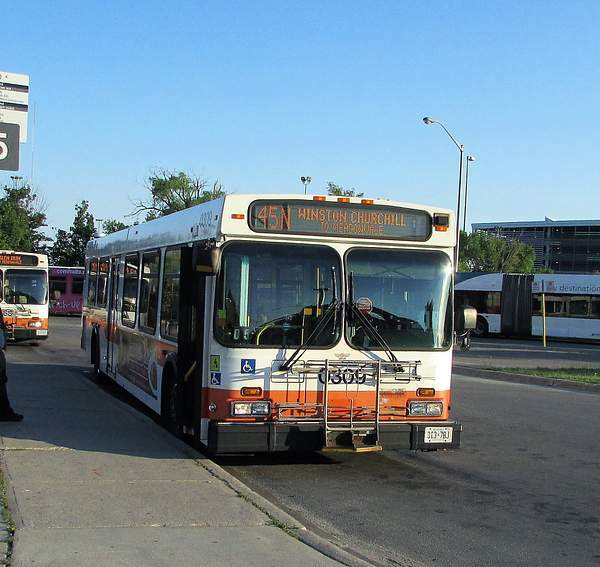 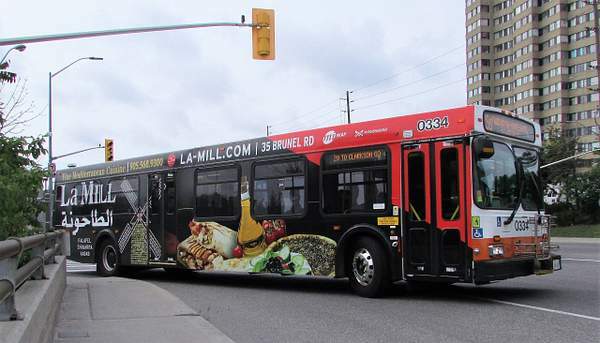 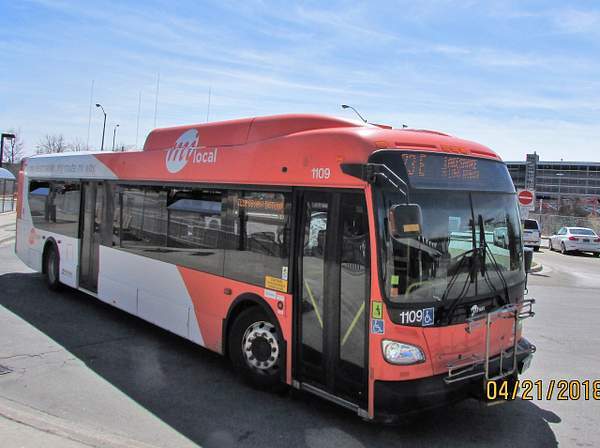 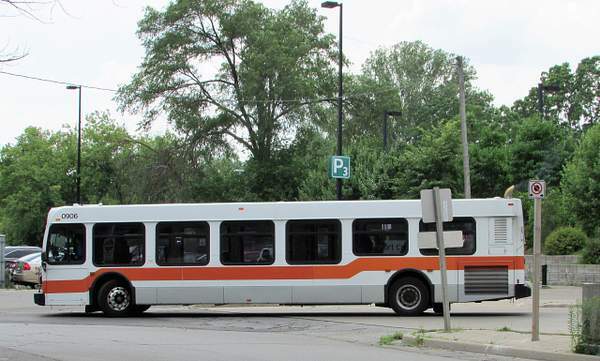 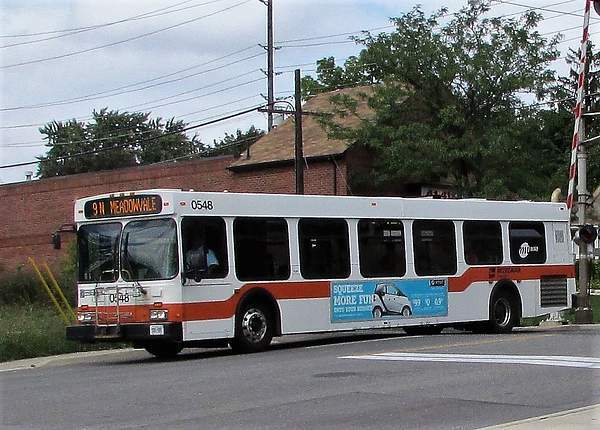 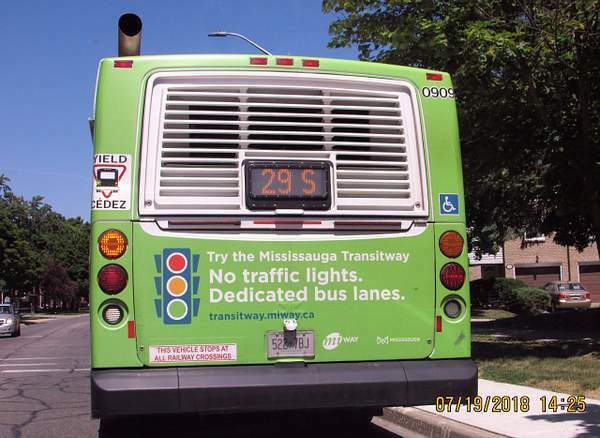 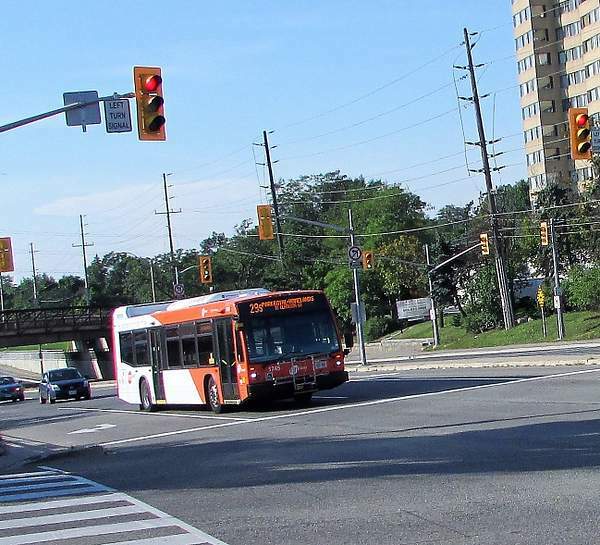 Seen at it's south end loop at Clarkson GO; 0902 is on the Route 45 between Clarkson and Meadowvale Town Centre. 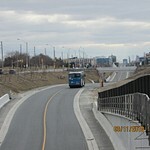 MT 0906 heads out on its run leaving Port Credit GO station. 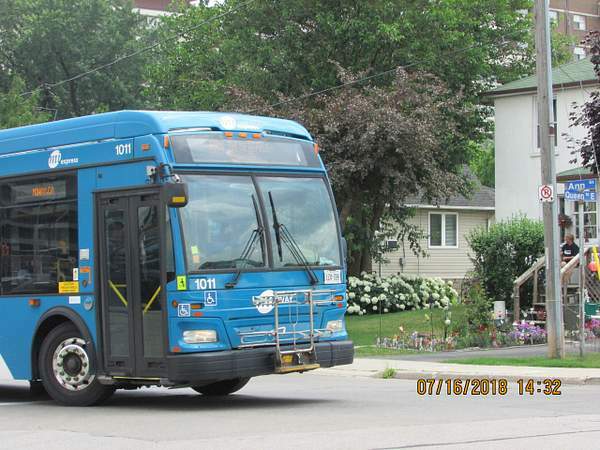 The blue buses are supposed to cover Express routes. 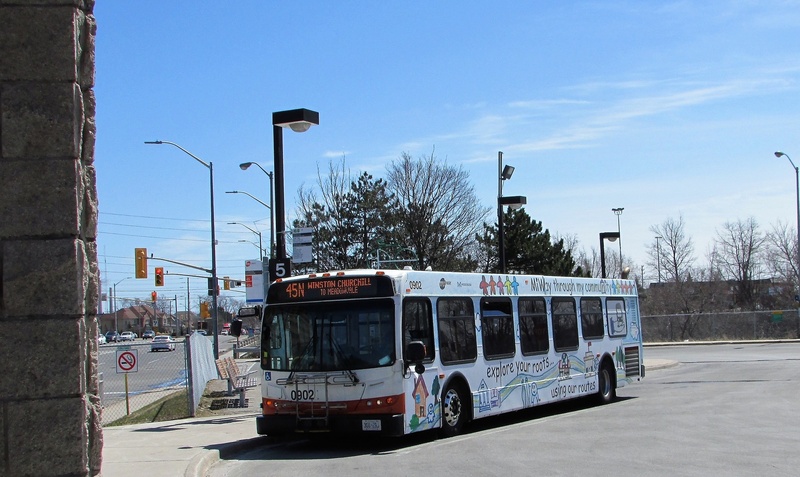 Unit 1011 is about to turn onto Queen street from Ann Street to enter the Port Credit GO bus loop. Lakeshore Route 23 from Clarkson to Long Branch via Port Credit.